Liverpool have no immediate plans to replicate their recent spending sprees when the transfer window re-opens at the end of the season. The Reds are expected to invest in bolstering their squad once again, but appear unlikely to challenge the eye-opening funds forked out for key starters in previous years. A sticky patch fuelled by injury setbacks since the turn of the year has highlighted the club’s significant inferiority to the squad depth of title rivals Manchester City. The absence of Joe Gomez, in particular, has proven a major blow on the back of his outstanding start to the season alongside Virgil van Dijk at centre-back. It’s for the routine alteration at the back that could see Jurgen Klopp recruit another defensive partner for the Dutchman during the summer. Klopp could meanwhile also seek added backup at right-back after being forced to use James Milner as a make-shift replacement for the injured Trent Alexander-Arnold of late. This will likely depend on whether or not he views Nathaniel Clyne as part of his plans, having allowed the Englishman to join Bournemouth on loan in January. 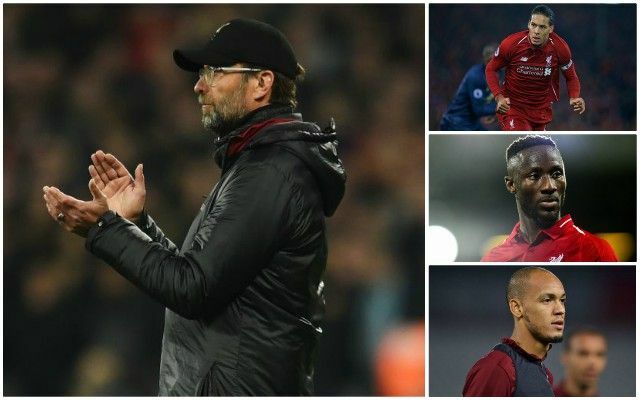 Liverpool’s early exits in both domestic cup competitions have also underlined the need for further attacking reinforcements, with Divock Origi and Daniel Sturridge struggling to serve as reliable backup to the Reds’ usual attacking corps. It may also be time for Klopp to start thinking about contingency plans for a 33-year-old Milner and an injury-prone Adam Lallana, not to mention Alberto Moreno as he approaches the end of his contract. The summer may not entail any so-called marquee signings, but there is certainly work to be done on this squad.